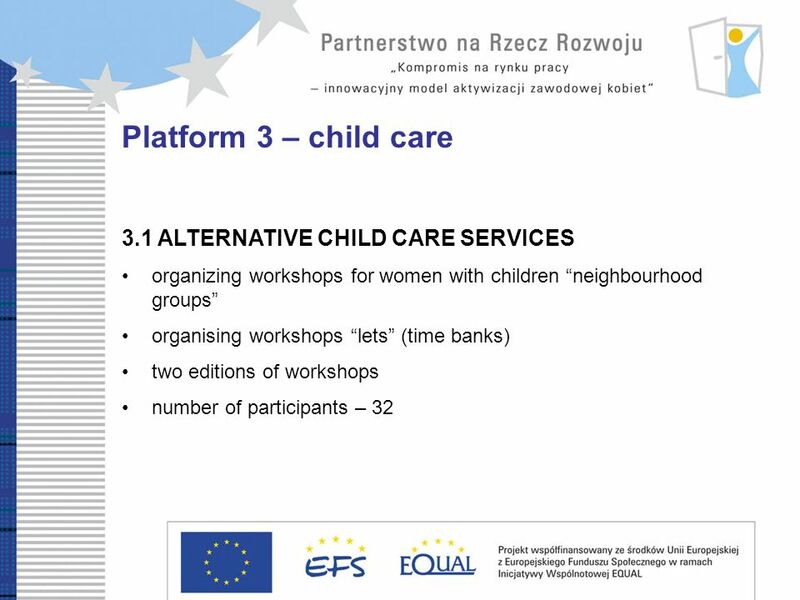 Development Partnership Compromise on labour market – innovative model of women professional reintegration Polish Development Partnership Compromise on. 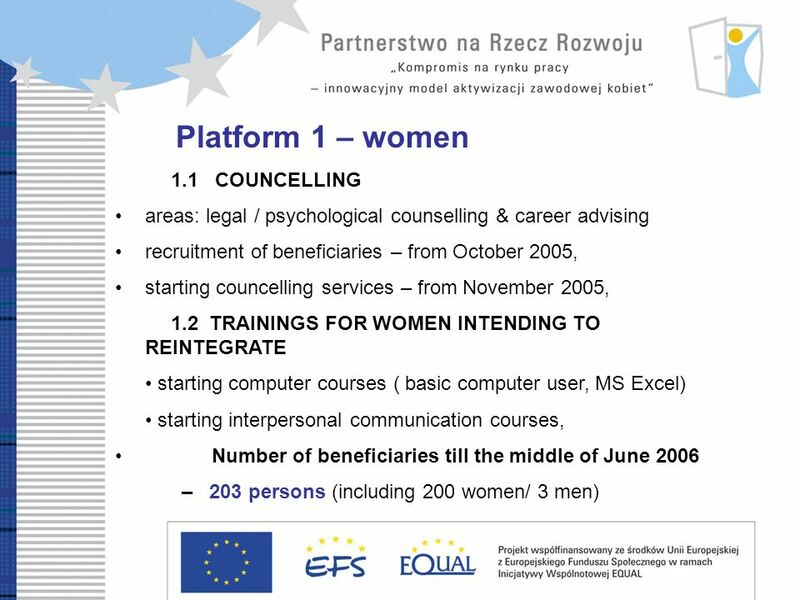 Download ppt "Development Partnership Compromise on labour market – innovative model of women professional reintegration Polish Development Partnership Compromise on." 19/02/2006 The NESSI European Technology Platform 2nd Workshop – Shanghai Feb 2006 Stefano De Panfilis R&D Laboratories Engineering Ingegneria. Working Together To Address Demographic Challenges REGIONS FOR ECONOMIC CHANGE – SHARING EXCELLENCE The Age Alliance Network Working for Older Workers. 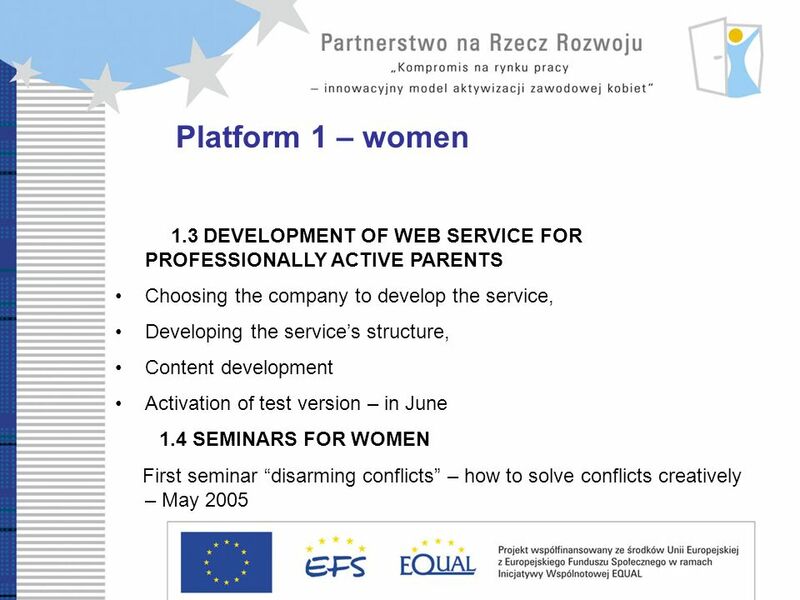 Effective mainstreaming of EQUAL results - examples from Poland BALTIC SEA SEMINAR 22 November 2007, Warsaw, Poland. 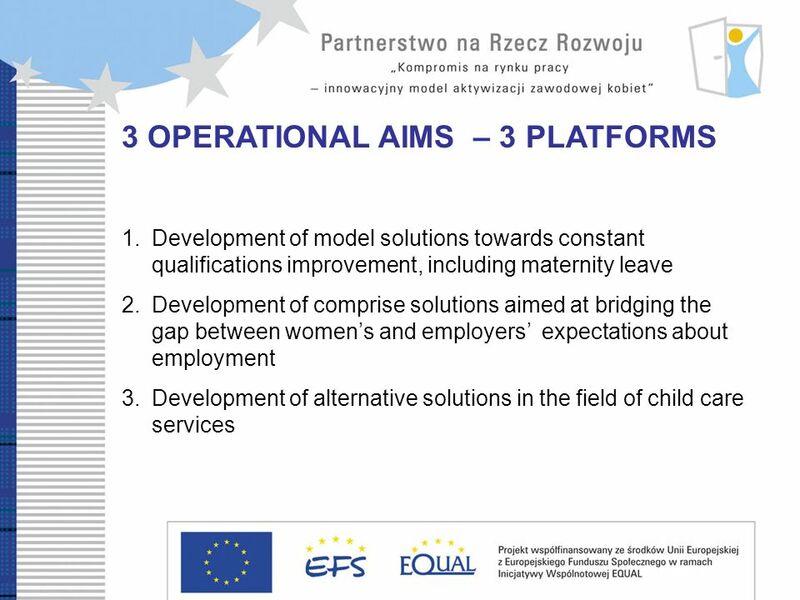 Development Partnership Compromise on labour market – innovative model of women professional reintegration. How European women and men use their time? 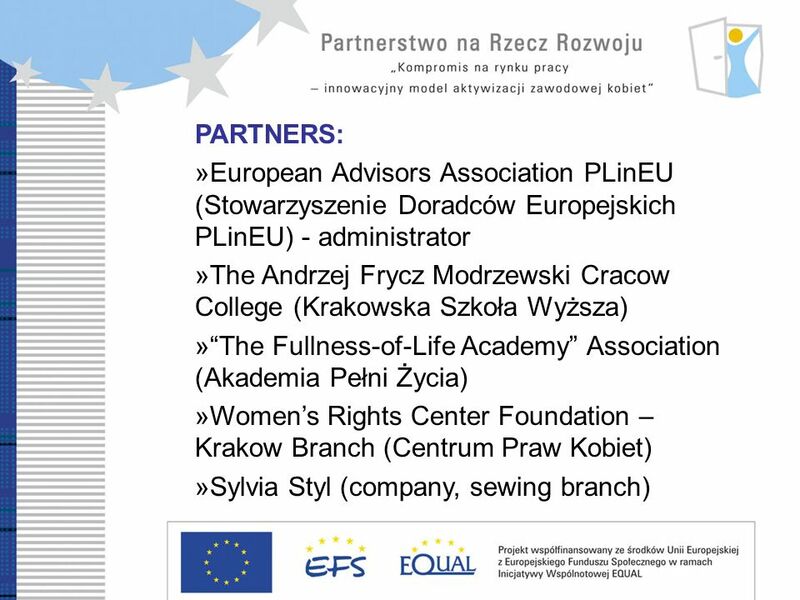 The Cinderella effect Cracow 21 st October 2011 Mechanisms for reconciling work and family life for women and. 1 YOUTH POLICY SYMPOSIUM Odessa, July 2011 Sergej KOPERDAK Head of Unit, Youth Policy DG Education and Culture European Commission. Local Authorities as Employers Hattula – Nyahururu - Janakkala. Alma Laurea Conference, University of Siena, 25 May 2007 Bologna Process in Poland Marek Frankowicz Bologna Expert, Poland. Gender mainstreaming Evidence from the European Foundation’s studies ETUC Conference Berlin Kasia Jurczak Research Officer. 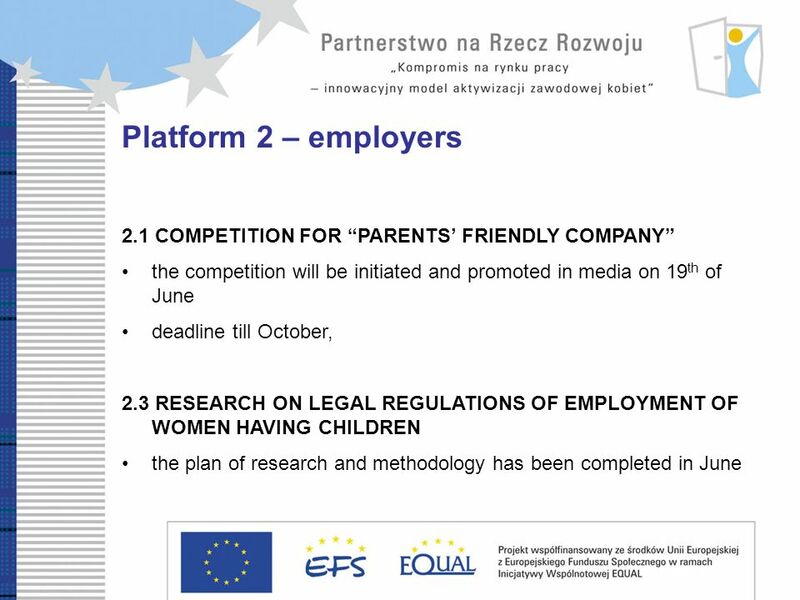 Expert Conference Accompanying the Informal Meeting of Ministers for Family and Gender Equality: Equal parenthood – a new role model? Paola Panzeri - COFACE. Flexible working arrangements: a tool only for women? Charles de Vries Directorate LGBT and Gender Equality 20 October 2011, Cracow. Slovenian Parental Leave - A Nordic Perspective Linda Haas Indiana University 9 th Annual Meeting of The International Network on Leave Policies and Related. Transnational co-operation to promote new means of combating all forms of discrimination and inequalities in connection with the labour market. Gender and economic opportunities in Poland: Has transition left women behind? Report of the World Bank March 2004. European Platform of Women Scientists Brussels, October 12th, 2007 NEWS Founding Meeting Dr. Marianne Schwarz da Silva. ALVIT– innovation & education Ltd.. Our Company We are a Czech educational company that has been operating since We are located in the Moravian-Silesian. 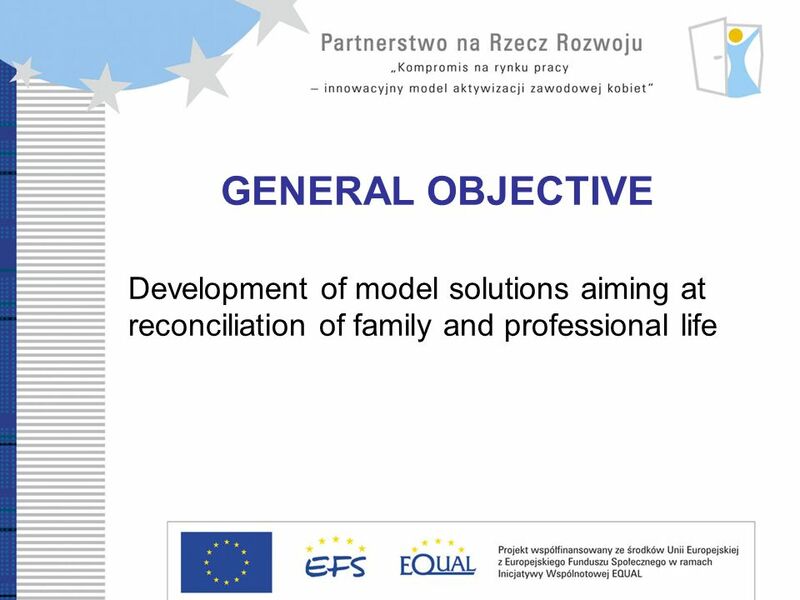 11 th LPR Network seminar Tallinn, September 2014 EIGE’s work on Good Practices in the area of Reconciliation Main findings. 11 th LPR Network seminar Tallinn, 18-19 September 2014 EIGE’s work on Good Practices in the area of Reconciliation Main findings.